Heating capacity: 120 mugs per hour. Suitable for up to 190 people. The busier the company or organization, the more effective the Supreme 180 is. This compact instant boiling water system produces 120 mugs per hour ensuring quick turnaround and safer handling.Due to steam and split water, kettles can present safety risks in the workplace. Supreme works to promote safe practice! SKU: WCD214. Category: Submerged Prices, Water Dispensers, Boiling Water Dispensers. Intelliboil™ Plus regularly brings the water to boil in response to usage – but if no water is drawn off for over an hour, it reduces the maximum stored water temperature from 100°C to 98°C. This saves electricity until the Supreme is used again – perhaps the next day or after a weekend – at which time the normal boiling cycle automatically resumes. 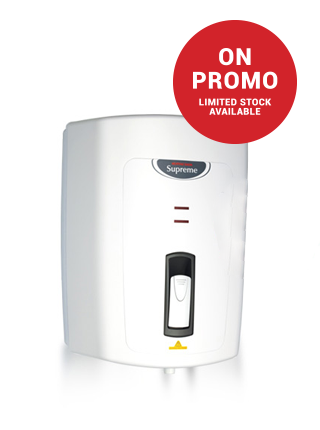 Supreme’s flexibility and versatility make it at home in almost any working environment. The busier the company or organization, the more effective Supreme is. Its simple, instant operation is ideal for a bustling office, shop, factory or hospital – indeed any location where saving time and money is important. Supreme promotes safe practice; kettles can present safety risks in the workplace. Steam and spilt water can scald people or damage surfaces; plugs and electrical connections are not always properly maintained. In today’s busy working environment the use of unauthorized electric kettles can overload circuits and lead to the loss of important computer data. 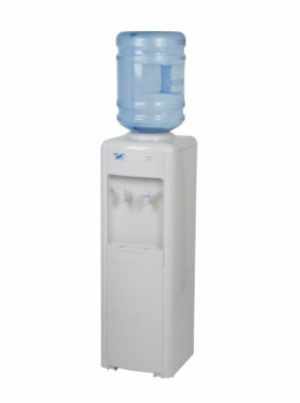 Water container: Moulded Polyphenylene Sulphide. Removable steam condensation chamber for maintenance access. Heat unit: Low watt density Superloy element for long life. Thermostat: Electronic to control water up to boiling point. Electromagnetic wave generator to reduce limescale formation. Safety features: All models are low-pressure vented. Dry start protection by self resetting bi-metal thermal cut-out. Boil dry protection by manually resettable bi-metal cut-out. 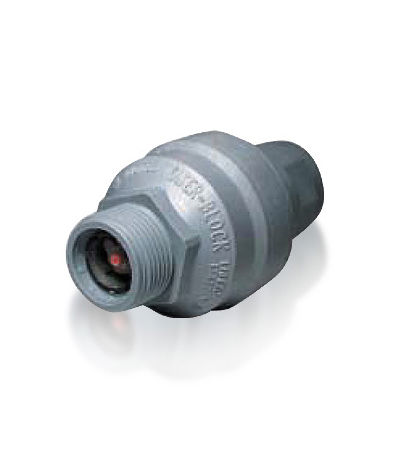 ¼” Pressure Reducing Valve (PRV 1).